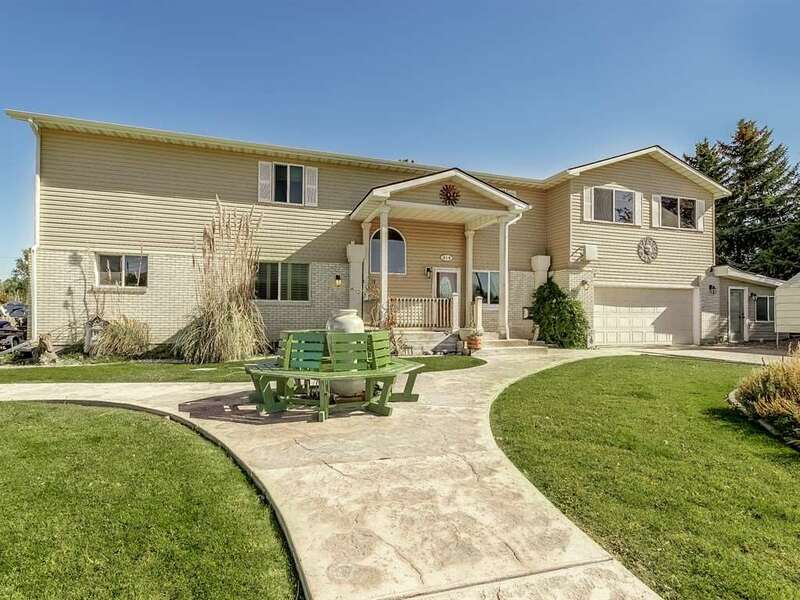 All Twin Falls homes currently listed for sale in Twin Falls as of 04/21/2019 are shown below. You can change the search criteria at any time by pressing the 'Change Search' button below. 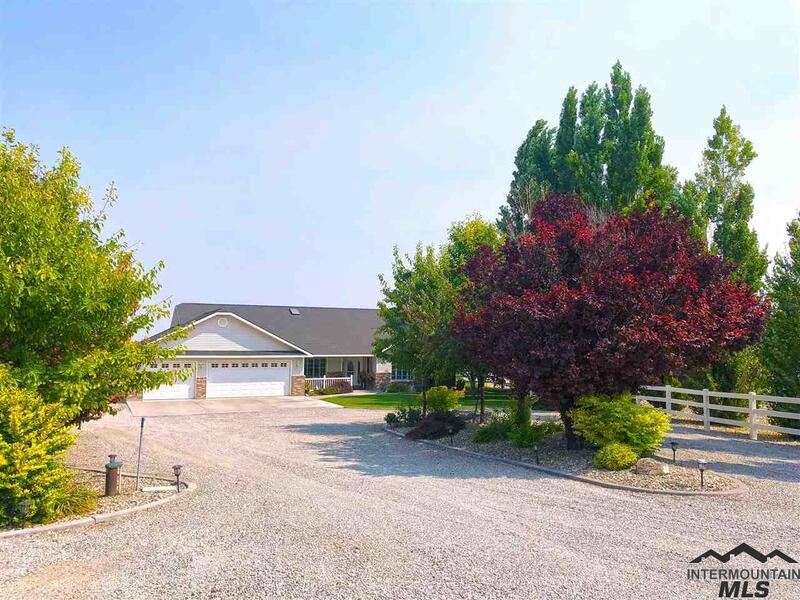 If you have any questions or you would like more information about any Twin Falls homes for sale or other Twin Falls real estate, please contact us and one of our knowledgeable Twin Falls REALTORS® would be pleased to assist you. "CANYON VIEW, GORGEOUS CUSTOM HOME PLUS ROOM FOR YOUR HORSES..all nestled in a setting of glorious landscaping and privacy! 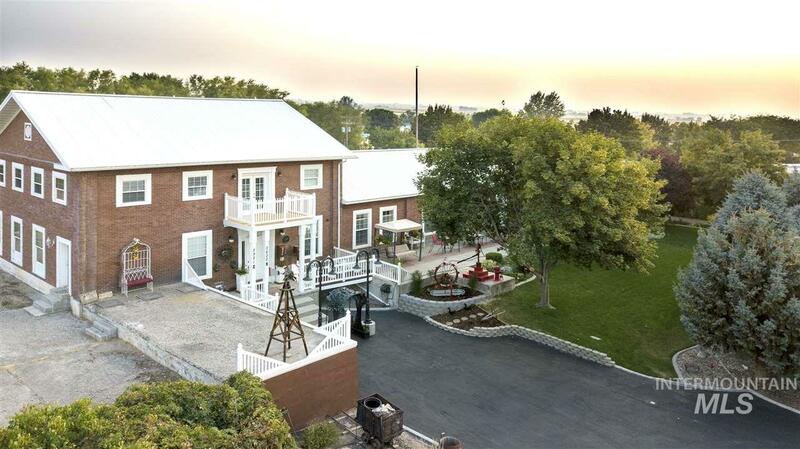 This unique property is set on 11.28 acres with all the amenities. A 6 stall horse facility, R.V. garage, shop, aviary plus the home of you dreams! Designed with love of open space and grandeur this amazing home will charm you with warmth of color! Spacious, open, inviting! SELLER WILL CARRY INTEREST ONLY FOR 5 YEARS. Would make a great CORPORATE RETREAT!" "Attractive all brick & stucco, one-owner home with paved, tree-lined driveway, custom touches & natural light throughout. 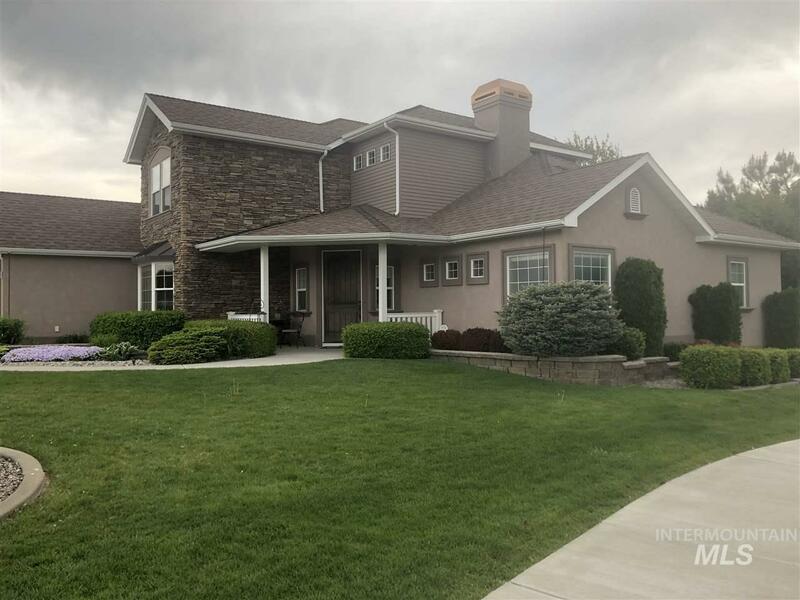 Featuring 5 large bedrooms (each w/en suite bathrooms), formal living & dining, gorgeous kitchen w/2nd dining area, den w/fireplace, office, large family room in daylight basement, 2 forced/air gas furnaces, mature landscaping, fenced pastures w/sprinklers, heated water trough & water shares, 2 wells & 2 drain fields. 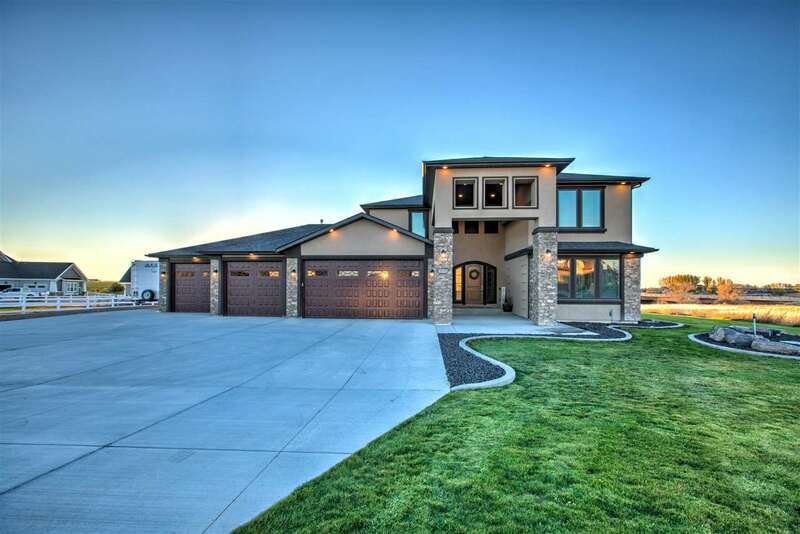 You can feel the pride of ownership in every aspect of thi"
"Gorgeous custom home with beautiful Rock Creek Canyon view! 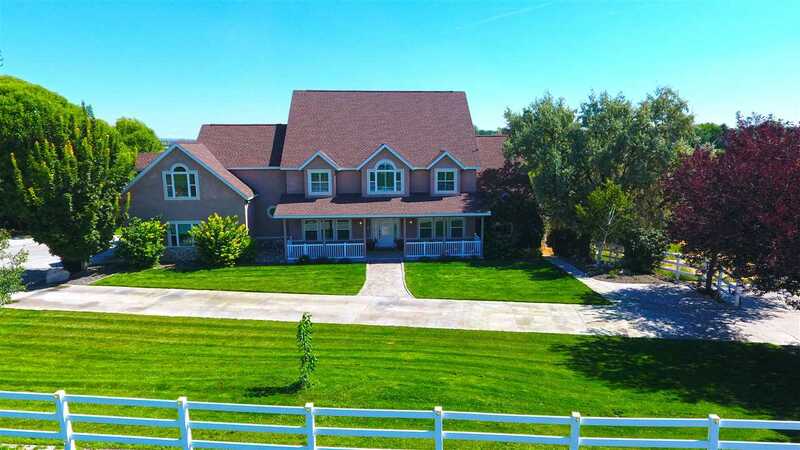 Don't miss out on this 5 bed/5 bath home with horse property close to town. 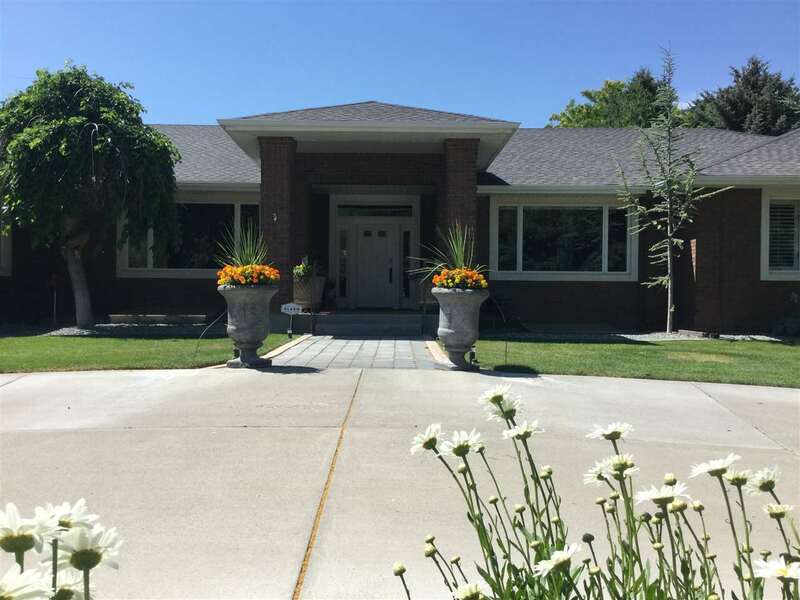 The home sits on 11.98 acres w/ a long tree lined driveway, granite throughout, beautiful hardwood, dining room, office, exercise room & it even has a studio apartment above the garage. It features 3 decks to enjoy the amazing view and it has all the privacy you will need. This home has everything you are looking for and more, you will have to see for yourself!" "Attractive all brick & stucco, one-owner home w/paved, tree-lined driveway, custom touches & natural light throughout. Featuring 5 lg bedrooms (each w/en suite bathrooms), formal living & dining, gorgeous kitchen w/2nd dining area, den w/fireplace, office, large family room in daylight basement, forced/air gas furnace, mature landscaping, fenced pastures w/sprinklers, heated water trough & water shares, 2 wells & drain fields. Pride of ownership in every aspect of this property. 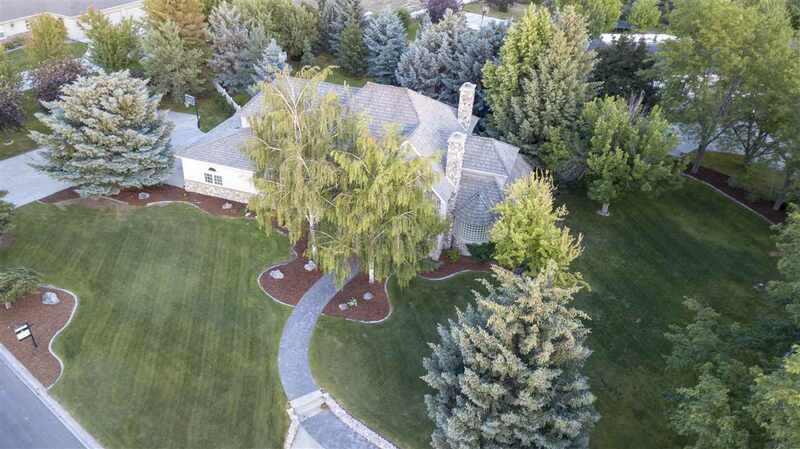 Additional 4.8 a"
"Don't miss this Beautiful 5359 sq ft., 5 bed, 5 bath (3 full, 2 half), home on almost an acre in the highly desirable Laurelwood Subd. This home has everything you have ever wanted and more. Gourmet kitchen, hardwood floors, new carpet, office w/built ins, 2 master suites w/custom walk in closet, storage galore, stunning wet bar with granite & lots of cabinets, perfect for entertaining. I haven't even started on the amazing back yard. It's your own private oasis with an endless pool/spa & puttin"
"Quality Custom home built in 2017. Bright and beautiful interior. Plenty of natural light finding its way into the living room and kitchen.Fully landscaped with sprinkler system, Covered back patio with a remarkable view of Rock Creek Canyon. Nestled in an amazing neighborhood sitting on just over 1 acre. A 5 car garage plenty of parking and outdoor space. 4 bedrooms, 3 bathrooms with 3,657 sqft." 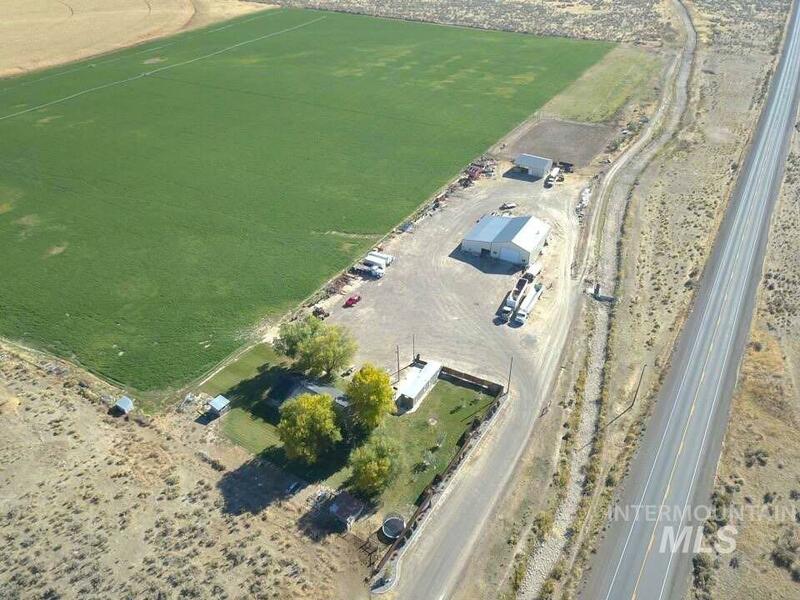 "9+ acres in South Twin Falls. Shops/Shops/more Shops! 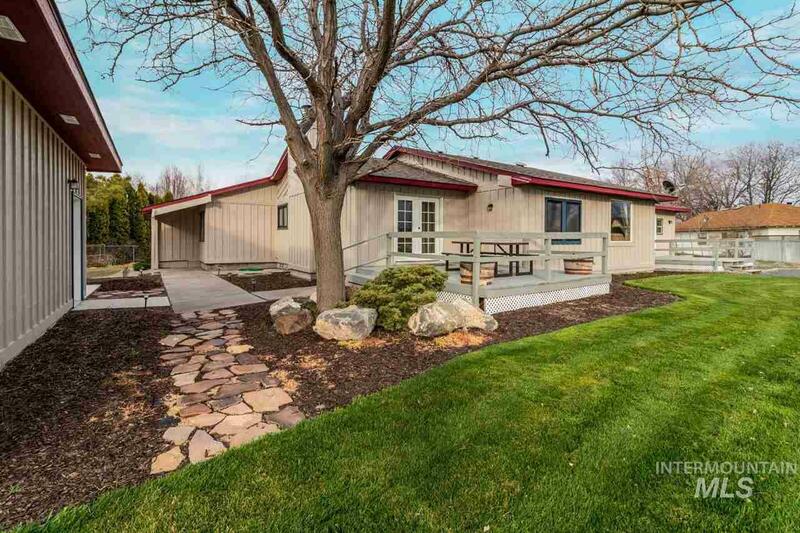 This country acreage has irrigated pasture, garden space, RV port parking, large family home with 2 kitchens. The views of the Magic Valley DO NOT END! Too many details to list, but a must see estate with something for everyone. Zoned M-1 so great for a home-based business." "Impressively remodeled former city water building. 4 Bed, 4.5 Bath, 5,970sf. Granite counters, glass tile back splash, tile floors. 2 Master suites upstairs. Main floor bath & bed have extra wide entrances. Enormous space throughout. 12& 10ft ceilings. Beautiful front lawn landscaping & mature trees. Large Entertainment rec room, exercise room. RV parking in back for multi vehicles, boat, & toys. Large workshop/storage below. Big underground parking. Check out the virtual tour." 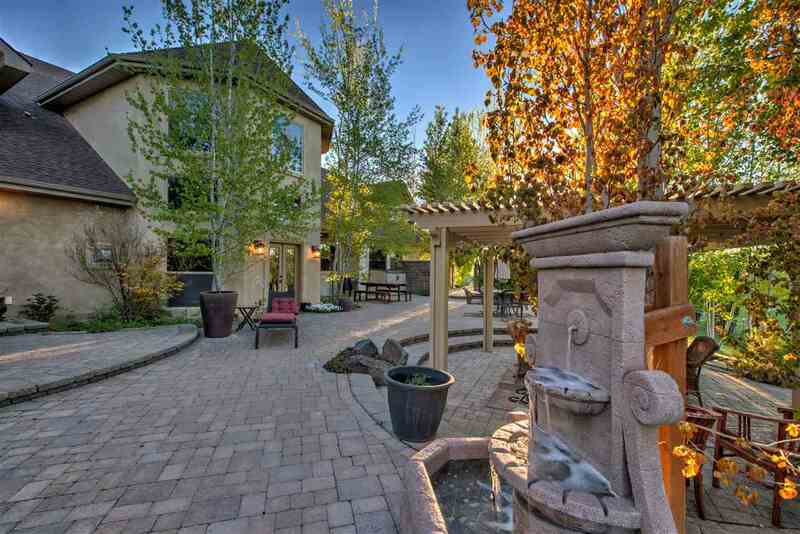 "Prestigious location for this beautiful 4 bed, 5 bath home w/4374 SF. Great floor plan & amenities starting w/the 2-story foyer w/curved staircase. Kitchen boasts brand new appliances including double ovens. 2 fireplaces. 3 living spaces plus finished room in bsmnt. Large master suite w/glass block W-I shower offering lots of natural light. 2nd staircase up to the bonus room perfect for theater room. Corner lot w/mature landscape in desirable NE location. Cannot rebuild this home today for thi"
"Beautiful home featured in the 2011 Parade of Homes, including: granite counter tops, fireplace, wide hallways, coffered ceilings, covered patio/deck, hardwood, marble, and travertine flooring, gourmet-style kitchen, stainless steel appliances, prep sink, pot filler, custom copper hood vent, formal dining room, and two master suites." "THE PERFECT HOME! Solid brick. Pella doors. Pella windows. Custom Shutters, Hunter Douglas Plantation Blinds, Pinnacle Security System (video camera & skybell video doorbell). You will love the cozy fireplace in the gracious open-great room plus the gourmet kitchen of your dreams! The covered patio will invite you to enjoy summer evenings and lazy afternoons! The bonus room is spectacular with space enough for parties or extra guests & includes a private bathroom. 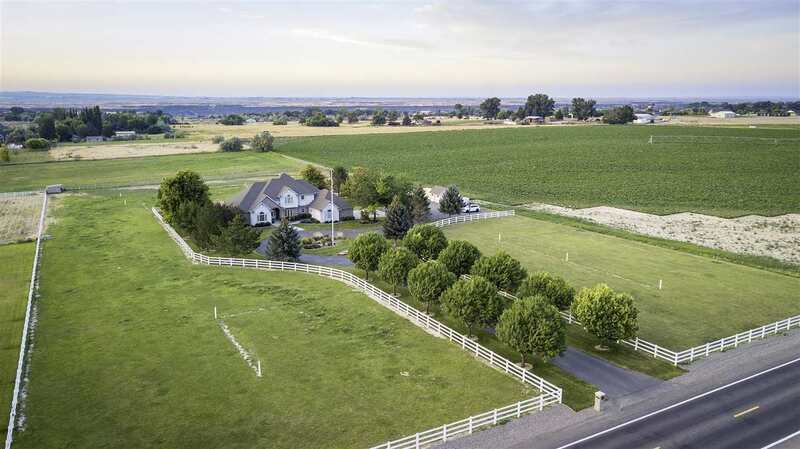 Fourth bedroom is being used as"
"40 acres with sweeping views of the South Hills just 10 minutes from Twin Falls. Lovely home completely updated with 2 bedrooms, 2 baths, granite counters, open floor plan, new metal roof, mature landscaping. 40x60 shop w/heated floors and 32x60 lean to. 32x40 barn with tack room, 110x170 arena w/turn out pasture. 400 sq.ft.heated office building. 30 irrigated acres w/55 shares of Salmon Tract water, two wheel lines. BLM borders the property on the south." "BRAND NEW! ONCE in a lifetime opportunity! Buy with ZeroPlus loan & save approx. $6000 on your mortgage costs too! Awesome neighborhood with not alot of through traffic. 4 bed, 3 bath, Office, Rec Room. Durable flooring for carefree living. FULLY landscaped & mature trees. KEEP YOUR TOYS at home with the attached SHOP with 12'x14' doors, extra RV Parking, Parking/Sport court in back. NetZero Ready saving you $$! You will be AMAZED at your low utility costs. Realtor owned." 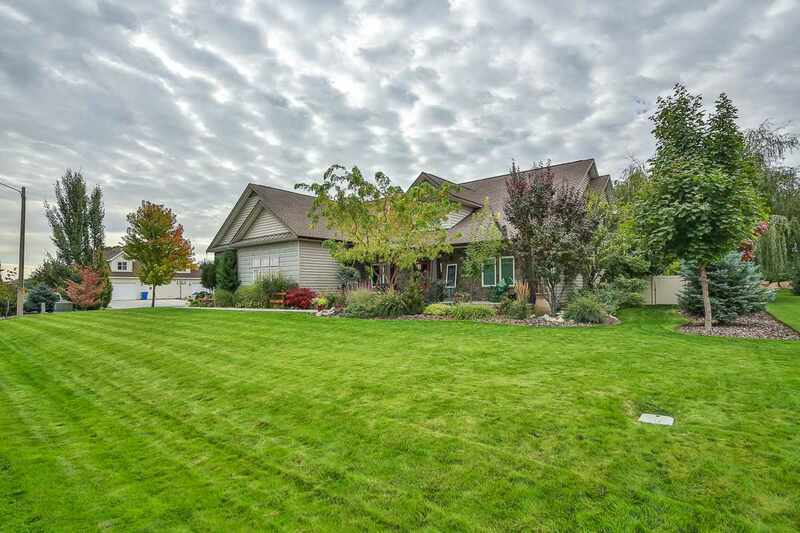 "This incredible home has so much to offer...starting w/larger corner lot that is meticulously landscaped, backs up to the creek w/fire pit area, awesome 2-tier patio, plus RV parking & dog run. Inside is warm & inviting, featuring formal dining, office w/french doors, kitchen w/high-end appliances & butlers pantry, grand master suite w/sitting area, french doors & an incredible bathroom, guest room w/en suite bathroom, two more bedrooms w/jack & jill bathroom, bonus room, huge laundry room, plus"
"This beautiful home was in the Parade of Homes when built. It has all the bells and whistles: Gourmet Kitchen with Granite countertops, large Granite island, 5 burner gas range, double oven and a large formal dining room. Master is located on the main level and master bathroom has heated floors along with a soaker claw tub and tiled walk-in shower. Double stairway which leads to the theater room. Room to incorporate a RV next to the 3 car garage." "Huge mature lot that backs up to the greenbelt. .41 acres of park like setting to relax and enjoy the days and evening from your choice of two elegant usable patios that both enter into the gourmet kitchen for that chef that wants it all! Granite, 5 burner gas cook top, double ovens and beautiful Brazilian walnut flooring. The formal dining and the living area both have mega crown molding. Master bedroom suite is on the main floor and features a corner jetted tub plus a separate step in shower." "Motivated seller - bring all offers! Desirable home in Candleridge Subdivision, featuring: main level office, expansive upstairs bonus room, & large loft area; Exceptional kitchen w/butcher block island, Corian counters, double oven, 2-tone cabinets, & spacious dining area; Large living room w/gas fireplace; Main level master suite w/ jetted tub, tiled walk-in shower, & dual vanities; Guest suite complete w/private bathroom; 4 car garage, garden space, shop & much more! 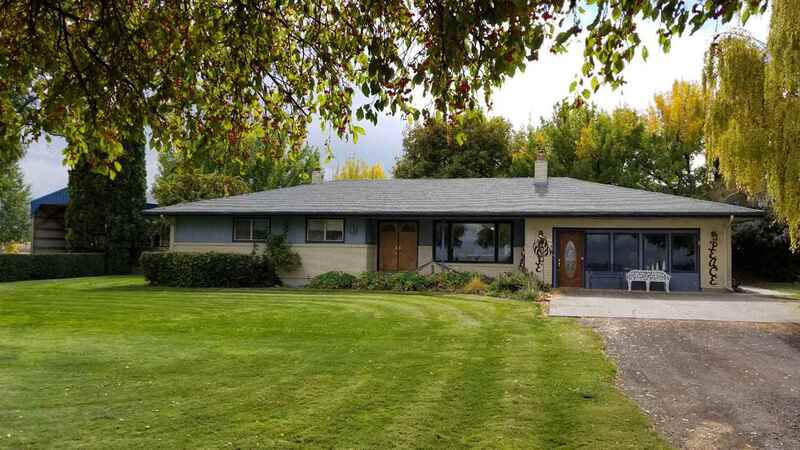 3k interior paint allowan"
"This gorgeously renovated property is the best of both worlds.. Minutes from Twin Falls, but still outside of town with views of the South Hills, Mountains & rolling farm ground. Relaxation is key with 2 back decks & front patio. Perfect for viewing the beautiful Idaho sunsets & sunrises. You won't run out of room on the main level with 2 master suite's, 3 guest bedrooms & a 6th bedroom or office with a 1/2 bath attached. Downstairs apartment is a great for housing family or offsetting your mort"
"WOW! Wolverton Homes has done it again. 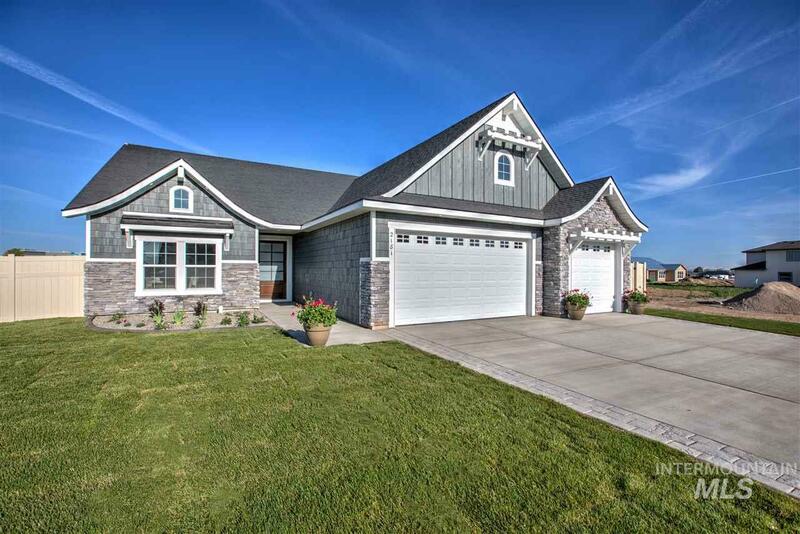 Showing off this 2019 Parade of Homes the Magnolia impresses from the moment you pull up to the curb with it curved roof line, arched attic windows, decorative eyebows, custom rock and shake. Inside your greeted by a grand foyer with Barrel Ceiling and Wainscoting. a Front Office with Open Kitchen, Living room and Dining with Vaulted Ceiling. Kitchen is big including a Custom Island with built in table seating and large pantry. Gas fireplace with built in "
"Adorable country home in a great neighborhood with a wonderful floor plan & lots of charm. A 40x30 insulated shop with electricity & 2 roll up doors. Quartz countertops, newly painted cabinets & Tile in kitchen. Beautiful wood flooring. Double sided fire place in between office & family room so you can always relax & stay warm. Updated master bathroom that's picture perfect. Bonus room, full bathroom, & two bedrooms all upstairs. Fenced in yard with play house. 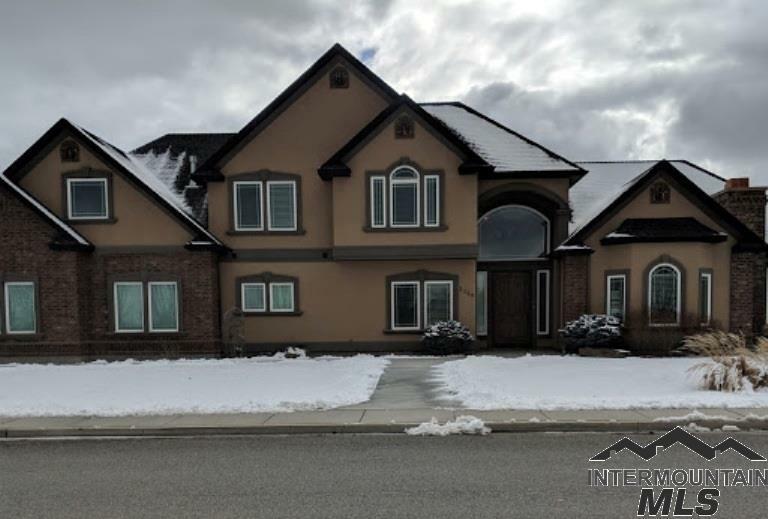 Call for an appointment to "
"GREAT BEGINNINGS ARE AWAITING YOU in this brand-new, custom Castle Rock home located in one of Twin Falls newest Northwest subdivisions near the new Rock Creek Elementary School. You will love the upgraded finishes throughout this spacious home, the open floor plan, and the West facing lot giving you morning sun and afternoon shade in your play-space backyard." "Huge Family property on Large Twin Falls Lot. Lots of gathering areas in this home for entertaining. Wonderful large backyard, RV and Trailer Parking. Hobby Room. Tons of potential on this property. Tucked away location but very conveniently located. This is a 3 level home with many family friendly rooms. Call today for your showing." "1 acre, One owner, custom built home, 4 bedroom 2 bath. walk-in closets, so many amenities. RV parking, 2 wells, heated with water source. Bring your horses, 4-H animals. Beautiful landscaping. Build a shop or pole barn. Drone and indoor pics to be attached soon." "Beautiful Custom Built Home in a Great Location! Granite Countertops, Tile backsplash, Pull Out Cabinets & Pantry in the Kitchen. Tile Floors in Laundry Room, Bathrooms & Kitchen. Vaulted Ceilings, Gas Fireplace, Big windows w/Lots of Light in Living Room. Hand scraped Maple Floors in Dining Room, Hallway & Entry. Jetted Tub Plus Shower in Master Suite. GFAH w/Central Air. Plumbed for Central Vac. Skylights & Zoned heating in the upper level. Great backyard with Vinyl Fencing & Fire Pit. Covere"